The other day while grocery shopping I bought some Freezies. When I opened the package, I noticed something. There were a lot of red ones (and red are usually my least favorite). I even instantly tweeted at Kisko the above photo to explain my situation. 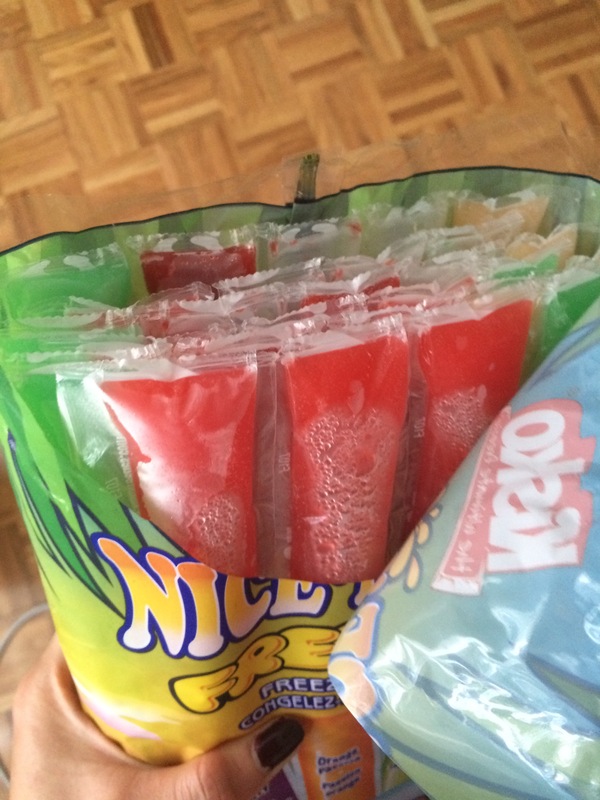 As it turns out there are actually two different types of red Freezies. I just wasn’t being observant enough. One was a tropical fruit punch and the other very berry. They turned out to be better than I thought. Sometimes we need to take a second and not make snap judgements. It took a pack of red Freezies to teach me his lesson. I love the idea they are called Freezies. When I was a kid we had a brand called Otter Pops – or maybe that’s just what we called them. The red flavors were the first to be eaten and the green ones, called Sir Isaac Lime on the package, always ended up with a little frost bite until my sisters and I were desperate enough to cut the tops of those. Lovely thought about looking closer at things. Thanks for posting and bringing back a childhood memory too.